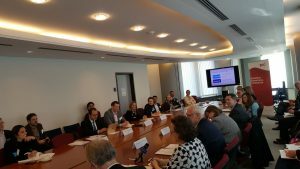 IPOPI was pleased to be invited to the European Haemophilia Consortium (EHC) round table discussion at the European Parliament, Brussels February 27, 2018. Hosted by Members of the European Parliament (MEPs) Norica Nicolai (Romania) and Miroslav Mikolásik (Slovakia), the meeting focused on topics of Economics and Access, Health Care Systems and Novel Therapies. The meeting brought together stakeholders including policy makers, health care professionals and patient leaders from several European countries to discuss the economic and political environment in Europe in relation to novel therapies. Patient centeredness and socio-economic aspects were highlighted in the discussions. 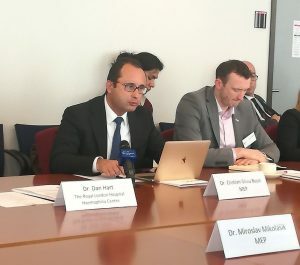 MEP Christian Busoi (Romania) intervened highlighting the importance of patient centeredness and patients’ needs as key when making rare disease policies. He used his country and the “claw back tax” issue as an example of the effects of policy decisions based only on economic factors.